You can find out how to sponsor the Cherry Hinton Festival on the Support us page. Arm designs the technology that lies at the heart of advanced digital products, from wireless, networking and consumer entertainment solutions to imaging, automotive, security and storage devices. Arm powers 90% of all mobile devices – gadgets like mobile phones, laptops, cameras and watches are all made possible by Arm and its partners. Did you know that since its founding over 27 years ago in a barn in Cambridge, over 100 Billion Arm-based chips have been shipped! Did you also know that 70% of the population uses Arm technology? That’s over 5 Billion people!! Arm have supported the Festival since 2014 and this year they have become our principal sponsor. We are extremely grateful for their generous financial support. But also for their general enthusiasm for the Festival – including providing volunteers to help on Festival Day, providing car parking for our exhibitors and providing bands to play on the music stage! Why not join Arm on Saturday 15th September for their microbit coding class? amongst other community facilities for everyone to enjoy. heavily invested in the Anderson Apprenticeship Scheme for over ten years. sustainable benefits that will help people change their lives for the better. Anderson have been a festival sponsor since 2017. We are incredibly grateful for their support – both financial and practical. 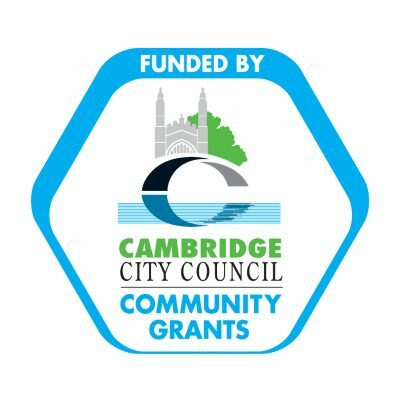 Cambridge City Council is a long term supporter of the Festival. Visit the Council website for local and community information with sections on environment, housing, leisure and transport. Headquartered on an 800 acre site in Cambridge, UK, the Marshall Group operates worldwide in the fields of aerospace, military land systems and fleet management; together with a network of 67 franchised automotive dealerships in the UK. Marshall have supported the Festival since 2014 (when they stepped in to save us from a funding crisis!) and we are very grateful for their continued support. The multi-award winning branch of Martin & Co Letting & Estate agents in Cambridge is located on Mill Road in the heart of Romsey Town, Cambridge. 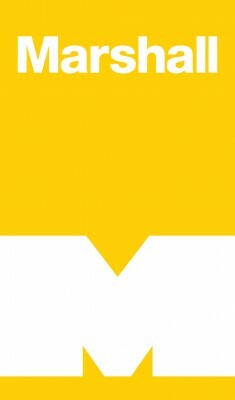 Established in 2007, Martin & Co is well-known as one of the city’s top letting and property management firms, with an excellent local reputation and a strong team of friendly, professional, well-trained & qualified staff. In 2014, in response to strong demand from existing clients, Martin & Co Cambridge has added a buy to let and property sales service to its offering. Martin & Co are proud winners of 3 recent awards for customer service from the allAgents independent reviews website, based on client feedback and benchmarked against our local peers in the industry. They are proud winners of ‘Best Letting Agent In Cambridge’ (Gold Award), ‘Best Letting Agent In Cambridgeshire’ (Silver Award) and ‘Best Letting Agent In CB1’ (Gold Award). Dudley Developments are a local family business that specialise in the design and build of small to medium sized, sympathetically designed developments. Established in 1983, and under the direction of Sean Dudley since 1994, the company has embraced an ethic of being truly proud of what they build. Offering homes that are a pleasure to live in and which compliment their surroundings achieved through successfully blending the space and elegance of the past with contemporary details and styling of today. Dudley Developments place great emphasis on attention to detail, this can be seen in every home with elements such as elegant high ceilings, glazed ceiling and wall sections, luxurious family bathrooms and stylish en-suites. The use of quality, energy efficient and truly beautiful materials is also essential and range from ethical Bamboo flooring and solar power to bespoke hand coloured bricks laid with lime mortar. The only true way to appreciate all the details is to come and take a look. Dudley have sponsored some of our unique exhibits including the specially commissioned ‘Plague and Pox in Cherry Hinton’ storytelling session in 2015. For 150 years Cambridge Water has been at the heart of the community. As well as supplying high quality drinking water to homes and businesses in and around the Cambridge area they are also committed to taking an active role in community issues. This support ranges from providing volunteers to help local groups, clubs and societies, to educating people about their water supply and ways they can help to save water and save money. We are very pleased to welcome Cambridge Water as a 2018 sponsor! Redgate is the leading provider of software for professionals working on the Microsoft data platform. They help over 800,000 people in every type of organization around the world, from small and medium sized businesses to 91% of companies in the Fortune 100. Thier SQL Toolbelt helps users implement DevOps best practice for their databases, easily monitor database performance, improve team productivity, and provision new databases in seconds. Redgate have been a Festival sponsor since 2017. They have helped us to fund some unique exhibits including the mobile cave! Based in Milton, Cambridge – Ten Hats is a local printing services company. They work with some of the most well known companies in Cambridge (and the Cherry Hinton Festival! ), providing print, exhibition and promotional services. Tenhats have been printing the festival publicity since 2014. It is always finished to a very high standard and we would recommend them without reservation. Contact them at hello@tenhats.co.uk to discuss your requirements. EDP stock a comprehensive range of both standard engineering (semi-finished products) and glazing plastics including Perspex (acrylic) Lexan and Marlon (polycarbonates) that can be cut to your exact requirements. They also stock specific building plastics and associated products. Including corrugated PVC and multi-wall Polycarbonate roofing sheets. They are appointed stockists for the Kestrel-BCE range of PVC-U fascia, soffit, cladding and window trims. At their Cambridge factory (Cherry Hinton High Street) they have a machine shop providing milling and turning services. As well as a highly specialised fabrication department incorporating bonding, heat forming and welding techniques producing a very diversified range of products to customer’s specifications. Open to trade and DIY. EDP have supported the festival forever it seems. They are amazing. DanceMatters is an encouraging, community dance school offering classes for children and young adults in Ballet, Tap, Jazz and Linedance, as well as a special singing, signing dance class for pre-school dancers. They also have friendly adult classes in Linedance and Tap. If your company is looking for a teambuilding activity with a twist, try DanceMatters! If you need help creating your first dance for your Wedding reception, DanceMatters can work with happy couples. They are based on the border of South Cambridgeshire and North Hertfordshire. Dance Matters have worked with the festival since 2015 – choreographing and teaching the stewards flashmob. We cannot recommend them enough. Dancing is joyful with Dance Matters. It is a festival highlight for all the volunteers. Cambridge Lady Cake specialises in cakes for weddings, birthdays, christenings, baby showers, corporate events and other celebrations. All cakes are bespoke, hand-made, and baked with love & attention to detail to help make your celebration special and memorable, whatever the occasion. Cambridge Lady Cake have supported the Festival for two years – providing ESSENTIAL cupcake treats to keep our stewards going! !